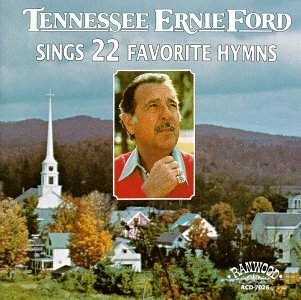 Sixteen Guns (The Elmer J. Fudd Song), Parody Song Lyrics of Tennessee Ernie Ford, "Sixteen Tons"
Song Parodies -> "Sixteen Guns (The Elmer J. Fudd Song)"
"Sixteen Guns (The Elmer J. Fudd Song)"
I woad sixteen guns, what do I get? A widdow bit baldew and wotsa wegwet! I go tip-toe on a wabbit patwooooo..
And I go stwaight foh that wascaw named Bugs! He says-a “What's up, doc?” and then away he goes! I'll bwast ‘im wit' shwapnel! A wabbit Swiss cheese! Had those cwazy Bugs fanatics in a state of shock! Wonderful! I's thinking, this is going to be a great song for around the campfire. Then I realized, nobody old enough to go to summer camp is going to know who Fudd is! But I AM making a copy for the group that meets on the terrace at the nursing home. Thanks for the fun. Weawy hiwarious, fewwa!- and that coming from an Elmer Fudd afficianado. "Bwookwyn"- too funny! Vewy difficuwt to sing: waughing too much, I'm afwaid. I honestly don't know the original song here, but I read it anyway and found this vewwy hiwawious! (Of course, I'm a big fan of Looney Tunes, but it's a shame that Cawtoon Netwoik doesn't show it anymowe.) Even though I don't know the owiginal, I'm gonna give it a poifect 5-5-5 vote! It was twuwy fabuwous! 555! It took me a moment to realize that "wabbit patwooooo….." was "rabbit patrol," but other than that, this was one wockin' pawody! But "Bwookwyn"? The southeast side? That would be Sheepshead Bay. That's the home neighborhood of Vince Lombardi and Joe Torre. Funny, Elmer Fudd doesn't look Italian. Thanks, evewybody for your thoughtful comments, wondewful witticisms and tendewly offewed cwiticisms. All are vewy appweciated. d;:^) From the Elmer Fudd biography page: The fictional cartoon character Elmer Fudd, now one of the most famous Looney Tunes characters has one of the more disputed origins in the Looney Tunes history (second only to Bugs Bunny himself). In 1937, Tex Avery introduced a new character in his cartoon short "Egghead Rides Again." Egghead had a bulbous nose, funny/eccentric clothing, a voice like Joe Penner, and an egg-shaped head. Many cartoon historians believe that Egghead evolved into Elmer over a period of a couple of years. Egghead made his second appearance in 1937's "Little Red Walking Hood" and then in 1938 teamed with Warner Brothers' newest cartoon star Daffy Duck in "Daffy Duck and Egghead." Egghead continued to appear in a string of cartoons in 1938: "The Isle of Pingo Pongo," "Cinderella Meets Fella", and "A-Lad-In Bagdad." However, it wasn't until "A Feud There Was" (1938) where his character was identified as "Elmer Fudd, Peacemaker," though he still maintained his Egghead-ish appearance. Egghead (or the prototypical Elmer Fudd) made three more appearances in "Johnny Smith and Poker-Huntas" (1938), "Hamateur Night" (1939), and "A Day At The Zoo" (1939). In the 1939 cartoon "The Dangerous Dan McFoo," a new voice actor Arthur Q. Bryan was hired to provide the voice of the hero dog-character and it was in this cartoon that the popular "milk-sop" voice of Elmer Fudd was born. In 1940, Egghead/Elmer's appearance was refined giving him a chin and a less bulbous nose and Arthur Q. Bryan's "Dan McFoo" voice in what most people consider Elmer Fudd's first true appearance: a Chuck Jones short entitled "Elmer's Candid Camera." A prototypical Bugs Bunny drives Elmer insane. Later that year, in Tex Avery's "A Wild Hare," Bugs reappears, but this time with carrot, Brooklyn accent, and "What's Up, Doc" all in place for the first time. Elmer has a better voice and a trimmer figure, too. For a short time in the early 1940s, Elmer's appearance was modified again. He became a heavy-set, beer-belly character (still chasing Bugs). Audiences didn't accept a fat Fudd, so ultimately the slimmer version returned for good. Elmer's role in these two films, that of would-be hunter, dupe and foil for Bugs, remains his main role forever after and although Bugs Bunny was called upon to outwit many more worthy opponents, Elmer somehow remained Bugs' classic nemesis, despite (or because of) his legendary gullibility, small size, short temper, and shorter attention span. Somehow knowing, not only that Elmer would lose, but knowing how he would lose, made the confrontation, counterintuitively, more delicious. Fudd was originally voiced by the radio actor Arthur Q. Bryan, but after Bryan's death in 1959, was reluctantly assumed as yet another voice by the versatile Mel Blanc (although other voice actors have alternated as Fudd's voice). The best known Elmer Fudd cartoons include Chuck Jones' masterpiece "What's Opera, Doc?," (one of the few times Fudd succeeded in getting Bugs), the Rossini parody "Rabbit of Seville," and the "Hunter Trilogy" of "Rabbit Season/Duck Season" shorts with Fudd himself, Bugs Bunny, and Daffy Duck. He always misplaces r and l with a w when he talks. A Wewwy haiw waising tale you scwewy Wobewt. All right, who's the ignoramus that voted ones? Will he or she please stand up now? 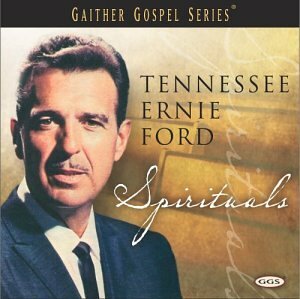 The address of this page is: http://www.amiright.com/parody/60s/tennesseeernieford6.shtml For help, see the examples of how to link to this page.